THE SHINING casts a long, dark shadow. As one of Stephen King’s most iconic works, it never struck me as a book that needed a sequel. So when news broke a couple years ago that King was in the process of penning one, I felt a knot of apprehension in my gut. There’s no doubt King is still capable of brilliant prose, and his imagination seems as fertile as ever, even if his writing process has slowed – but sometimes it’s best to leave things be, to ensure the memory of that original reading experience remains unscathed. 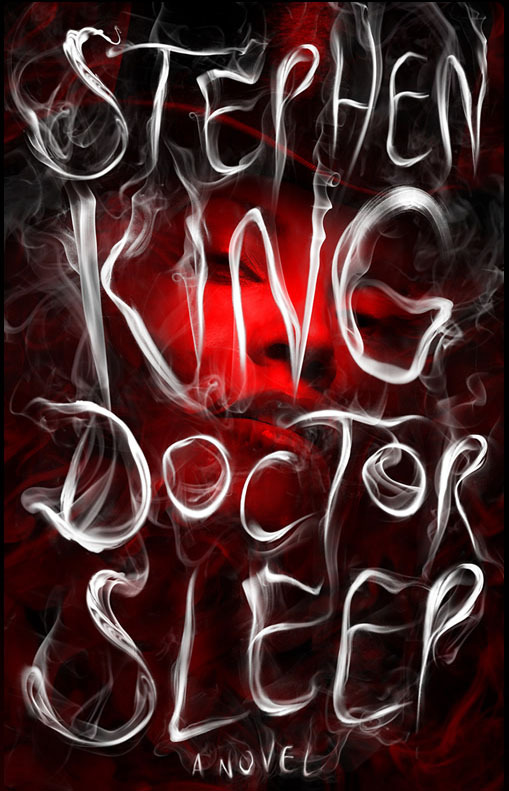 DOCTOR SLEEP is a very different beast to THE SHINING, and initially the shift in tone bothered me. I never found THE SHINING outright frightening; rather, it maintained an eerie atmosphere throughout its pages; it was tense, and my unease was almost palpable. DOCTOR SLEEP doesn’t attempt the same thing – or, if that was its intent, it fails (though I’m certain it wasn’t). Rather, this feels more like a lightweight version of one of King’s epics – a deeply personal journey involving Dan Torrance battling his demons as he combats an evil force targeting children for their ‘steam.’ ‘Lightweight’ has negative connotations, I know, but I don’t mean it to be divisive in this instance. It is a good thing that DOCTOR SLEEP maintains its focus instead of escalating into a sprawling epic, akin to, say, THE STAND. Dan is an interesting character, and contrary to my early doubts, seeing the man that the boy from The Overlook Hotel has grown into is fascinating. He starts the novel as an alcoholic, and we witness the moment he hits rock bottom with both disappointment and understanding. He survived the horrors of his youth to become – what? His father? Of course he has. In DOCTOR SLEEP the horrors of The Overlook Hook are replaced as antagonists by a crew of ‘steam’ sucking demons in human-form known as The Knot. They’re effective villains, but never really compelling, and not especially memorable, which is a shame, because that they been, this novel might’ve ranked a tad closer to its predecessor. The True Knot are horrible beings – vampire-esque torture-loving anti-aging freaks – but I was never frightened of them. Worse still, in certain scenes they came across as comic-booky; exaggerated villainous diatribes spilling from their mouths. Still, that one disappointment aside, I tore through DOCTOR SLEEP quickly and loved every moment. No, it’s not better than THE SHINING, but did any of us ever truly expect it to be? Enjoy this novel for what it is rather than loading it with your own expectations and you’re in for a treat.